This article is about Ferrari's grand tourer named 812 Superfast that was introduced in 2017. 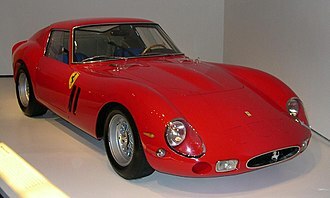 For the previous Superfast that was sold from 1964 to 1966, see Ferrari America § 500 Superfast. The Ferrari 812 Superfast (Type F152M) is a front mid-engine, rear-wheel-drive grand tourer produced by Italian sports car manufacturer Ferrari that made its debut at the 2017 Geneva Motor Show. The 812 Superfast is the successor to the Ferrari F12berlinetta. 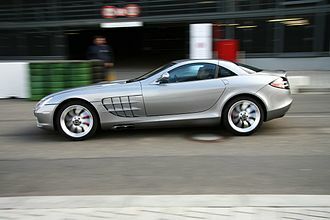 The car has an enlarged 6,496 cc (6.5 L) version of the F140 V12 compared to the 6.3-litre engine used in the F12berlinetta. The engine generates a power output of 800 PS (588 kW; 789 hp) at 8,500 rpm and 718 N⋅m (530 lb⋅ft) of torque at 7,000 rpm. The 812 Superfast's engine is, as of 2018, the most powerful naturally aspirated production car engine ever made according to the manufacturer. 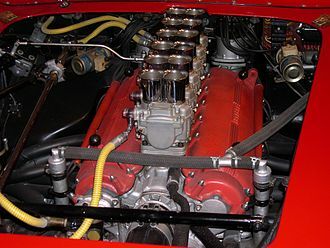 Despite having possessed powertrain technology expertise in forced induction (mainly turbocharging) and hybrid disciplines, Ferrari has made clear that none of those technologies are being incorporated in the legendary front-engine, rear wheel-drive, V12-engined berlinetta design -- at present and in future -- due to heritage reasons. The transmission for the 812 Superfast is a dual-clutch 7-speed F1 automated manual gearbox manufactured for Ferrari by Getrag, based on the gearbox used in the 458. The 812 Superfast has 20-inch wheels at the front and the rear. The tyres are Pirelli P Zero with codes of 275/35 ZR 20 for the front tires and 315/35 ZR 20 for the rear. The brakes are carbon-ceramic Brembo Extreme Design disc brakes, which Ferrari claims have 5.8% improved braking performance from 100 km/h to 0 km/h as compared to the F12berlinetta. The brakes are borrowed from the Laferrari, with a diameter of 398 mm (15.7 in) at the front and 360 mm (14.2 in) at the rear. Ferrari has stated that the front-engine, rear wheel-drive V12 vehicle platform -- part of the brand's heritage -- is not easy to refine and has presented various developmental challenges. As such, a combination of complicated aerodynamics technology is used to complement the 812 Superfast's chassis control system. It includes a mix of active and passive aerodynamics to improve drag coefficient values over the F12berlinetta. The front of the car is designed to increase downforce and includes intakes for front brake cooling, as well as ducts to increase underbody air flow. The bonnet of the car also has channels to move air through to the side of the car for additional downforce. The rear diffuser of the 812 Superfast has active flaps that can open up at high speeds to further reduce drag. Ferrari claims that the 812 Superfast has a top speed of 340 km/h (211 mph) with a 0–100 km/h (0–62 mph) acceleration time of 2.9 seconds. The car has a power to weight ratio of 2.18 kg (4.81 lb) per horsepower (PS). The 812 Superfast is the first Ferrari equipped with EPS (Electronic Power Steering). It also shares the rear-wheel-steering system (Virtual Short Wheelbase 2.0) borrowed from the limited edition F12tdf. 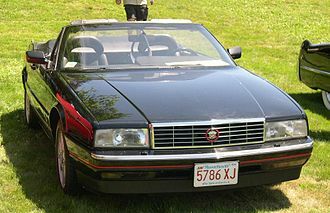 The weight distribution of the car is 47% front, 53% rear. The car has recorded a laptime of 1:21:50 around the Fiorano racetrack, 0.50 seconds behind the more track-focused F12tdf . The design is inspired by the F12berlinetta, though it gets some updated styling cues like full LED headlamps, air vents on the bonnet, quad circular tail lights, and a body-colored rear diffuser. 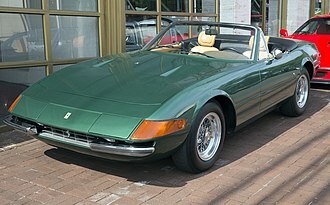 The two-box, high tail design of the car is intended to resemble that of the 365 GTB/4 Daytona, a Pininfarina design, though the car was designed at the Ferrari Styling Center. The interior of the 812 Superfast takes inspiration from both the preceding F12berlinetta and the interior of the LaFerrari, especially the shape and position of the air vents and the contours of the dashboard. As part of the Ferrari's flagship model design, the 812 Superfast's center control stack continues to lack a central infotainment display featured in entry-level models such as the GTC4Lusso and Portofino, retaining only a small temperature display for the climate control system and splitting all vehicular status information displays among the driver's multifunction instrument cluster, as well as the passenger-side touchscreen stack display above the glove compartment area. As with certain previous models, the 812 Superfast can be ordered with specially designed, model name-tagged, multi-piece luggage set which fit into the vehicle's rear trunk effectively. At a private event held for customers and investors at the company's headquarters in Maranello, Italy in September 2018, Ferrari unveiled the first two models in its new Icona series of models. The cars called the Monza SP1 and SP2 (1 and 2 denoting the seating capacity) pay homage to the iconic open top race cars of the 1950s. The cars are designed with inspiration taken from Ferrari's historic race cars such as the 750 Monza and are developed to provide a dedicated open top driving experience. The car is based on the 812 Superfast and utilises its chassis, engine, transmission and interior components but the engine has been tuned to generate a maximum power output of 810 PS (596 kW; 799 hp). 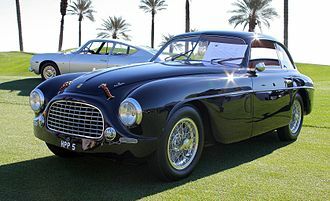 The Monza can accelerate from 0–100 km/h (0–62 mph) in 2.9 seconds, 0–200 km/h (0–124 mph) in 7.9 seconds and can attain a maximum speed of 299 km/h (186 mph). 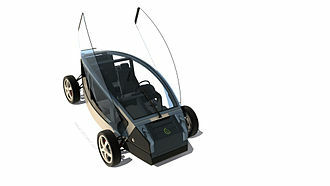 The car uses a carbon fibre construction and features bespoke wheels, interior colour choices, small scissor doors and a full LED strip serving as the tail light of the car. 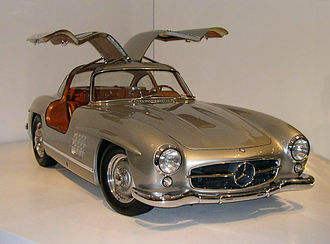 The virtual windshield (present ahead of the driver only and a concept used previously in the Mercedes SLR McLaren Stirling Moss) disrupts airflow over the driver in order to maintain maximum driving comfort. Due to the use of lightweight materials, the Monza SP weighs 1,500 kg (3,306.9 lb) while the SP1 weighs a further 20 kg (44.1 lb) less due to the deletion of passenger seat. Production of the Monza SP will be limited to 500 units with all of the units already pre-sold to selected customers and with pricing set to be unveiled at the Paris Motor Show. The cars will be delivered with a special racing suit and a helmet tailored for each customer. The new Icona series will sit above the Ferrari's flagship V8 models. ^ a b "Ferrari 812 Superfast revealed". The Daily Telegraph. 2017-02-16. Retrieved 2017-02-16. ^ Tamara Warren (7 March 2017). "Ferrari 812 Superfast lives up to its name". The Verge. Retrieved 1 May 2017. ^ Viknesh Vijayenthiran (8 March 2017). "Ferrari 812 Superfast revealed with 789 horsepower". Motor Authority. Retrieved 1 May 2017. ^ a b c d e "812 Superfast". Ferrari. Retrieved 2018-01-28. ^ "2018 Ferrari 812 Superfast First Test: More Is More". Motor Trend. 18 June 2018. Retrieved 2 October 2018. ^ a b "Meet the 789bhp Ferrari 812 Superfast". Top Gear. 2017-02-16. Retrieved 2017-02-16. ^ "Ferrari dévoile la 812 Superfast, 800 ch pour le moteur de série le plus puissant". turbo.fr. 2017-02-16. Retrieved 2017-02-20. ^ "Ferrari 812 Superfast: Most powerful ever 800 cv". ferrari.com. 2017-02-16. Retrieved 2017-02-20. ^ "Viendo más allá: ¿Qué cambia realmente del F12 Berlinetta al Ferrari 812 Superfast?". 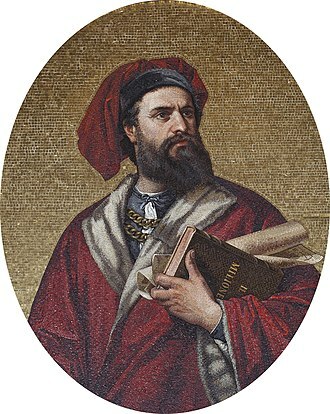 Diariomotor. Retrieved 2018-01-28. ^ "812 Superfast | Ferrari technology for an ultimate driving experience". 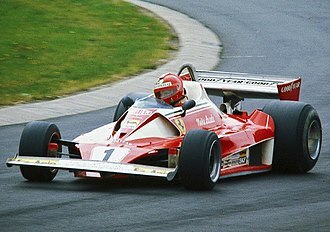 Ferrari 152M. Retrieved 2018-01-28. ^ "The Ferrari 812 Superfast: Geneva world premiere for the new, extreme performing V12 berlinetta" (PDF). Ferrari. 17 February 2017. Retrieved 28 January 2018. ^ "812 Superfast | A Ferrari design conveying power and aggression". 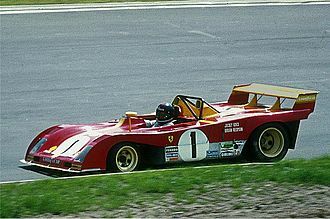 Ferrari 152M. Retrieved 2018-01-28. ^ Neate, Rupert (18 September 2018). "Ferrari pre-sells entire new supercar model despite £1m+ price tag". The Guardian. Retrieved 19 September 2018. ^ Harrison, Tom (18 September 2018). "Meet the Ferrari Monza, an 812 Superfast speedster". Top Gear. Retrieved 19 September 2018. Wikimedia Commons has media related to Ferrari 812 Superfast. Horsepower is a unit of measurement of power. There are many different standards and types of horsepower, two common definitions being used today are the mechanical horsepower, which is approximately 746 watts, and the metric horsepower, which is approximately 735.5 watts. 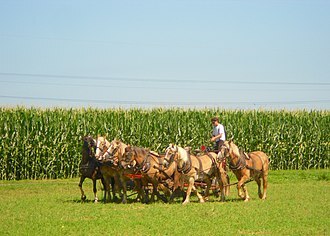 The term was adopted in the late 18th century by Scottish engineer James Watt to compare the output of engines with the power of draft horses. It was expanded to include the power of other types of piston engines, as well as turbines, electric motors. The definition of the unit varied among geographical regions, most countries now use the SI unit watt for measurement of power. With the implementation of the EU Directive 80/181/EEC on January 1,2010, units called horsepower have differing definitions, The mechanical horsepower, known as imperial horsepower equals approximately 745.7 watts. It was defined originally as exactly 550 foot-pounds per second [745.7 N. m/s), the metric horsepower equals approximately 735.5 watts. It was defined originally as 75 kgf-m per second is approximately equivalent to 735.5 watts, the Pferdestärke PS is a name for a group of similar power measurements used in Germany around the end of the 19th century, all of about one metric horsepower in size. The boiler horsepower equals 9809.5 watts and it was used for rating steam boilers and is equivalent to 34.5 pounds of water evaporated per hour at 212 degrees Fahrenheit. One horsepower for rating electric motors is equal to 746 watts, one horsepower for rating Continental European electric motors is equal to 735 watts. 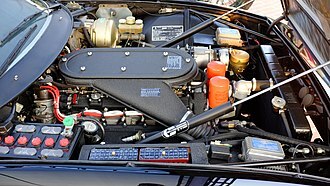 Continental European electric motors used to have dual ratings, one British Royal Automobile Club horsepower can equal a range of values based on estimates of several engine dimensions. It is one of the tax horsepower systems adopted around Europe, the development of the steam engine provided a reason to compare the output of horses with that of the engines that could replace them. He had previously agreed to take royalties of one third of the savings in coal from the older Newcomen steam engines and this royalty scheme did not work with customers who did not have existing steam engines but used horses instead. Watt determined that a horse could turn a mill wheel 144 times in an hour, the wheel was 12 feet in radius, the horse travelled 2.4 × 2π ×12 feet in one minute. A light-emitting diode is a two-lead semiconductor light source. It is a p–n junction diode, which emits light when activated, when a suitable voltage is applied to the leads, electrons are able to recombine with electron holes within the device, releasing energy in the form of photons. This effect is called electroluminescence, and the color of the light is determined by the band gap of the semiconductor. LEDs are typically small and integrated optical components may be used to shape the radiation pattern, appearing as practical electronic components in 1962, the earliest LEDs emitted low-intensity infrared light. 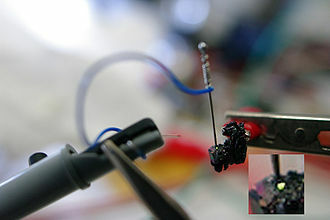 Infrared LEDs are still used as transmitting elements in remote-control circuits. The first visible-light LEDs were of low intensity and limited to red, modern LEDs are available across the visible and infrared wavelengths, with very high brightness. Early LEDs were often used as indicator lamps for electronic devices and they were soon packaged into numeric readouts in the form of seven-segment displays and were commonly seen in digital clocks. Recent developments in LEDs permit them to be used in environmental, LEDs have allowed new displays and sensors to be developed, while their high switching rates are used in advanced communications technology. LEDs have many advantages over incandescent light sources including lower energy consumption, longer lifetime, improved physical robustness, smaller size, and faster switching. Light-emitting diodes are now used in applications as diverse as aviation lighting, automotive headlamps, general lighting, traffic signals, camera flashes, as of 2017, LED lights home room lighting are as cheap or cheaper than compact fluorescent lamp sources of comparable output. They are more energy efficient and, have fewer environmental concerns linked to their disposal. Electroluminescence as a phenomenon was discovered in 1907 by the British experimenter H. J. Round of Marconi Labs, using a crystal of silicon carbide, russian inventor Oleg Losev reported creation of the first LED in 1927. His research was distributed in Soviet and British scientific journals, rubin Braunstein of the Radio Corporation of America reported on infrared emission from gallium arsenide and other semiconductor alloys in 1955.